Houston, we have a problem … but we’d rather not talk about it. 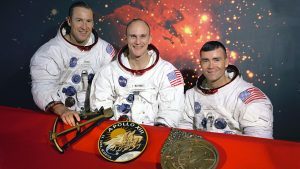 The movie Apollo 13 came out in 1995 and popularized the phrase “Failure is not an option”. The flight director, Gene Kranz (played by Ed Harris), repeated the phrase to motivate engineers to find a solution immediately. It worked. I bet that Kranz’s signature phrase caused more failures in American organizations than any other single sentence in business history. I know it caused myriad failures – and a culture of fear – in my company. Our CEO loved to spout phrases like “Failure is not an option” and “We will not accept failure here.” It made him feel good. He seemed to believe that repeating the mantra could banish failure forever. It became a magical incantation. Of course, we continued to have failures in our company. We built complicated software and we occasionally ran off the rails. What did we do when a failure occurred? We buried it. Better a burial than a “public hanging”. The CEO’s mantra created a perverse incentive. He wanted to eliminate failures. We wanted to keep our jobs. To keep our jobs, we had to bury our failures. Because we buried them, we never fixed the processes that led to the failures in the first place. Our executives could easily conclude that our processes were just fine. After all, we didn’t have any failures, did we? As we’ve learned elsewhere, design thinking is all about improving something and then improving it again and then again and again. How can we design a corporate culture that continuously improves? One answer is the concept of the just culture. A just culture acknowledges that failures occur. Many failures result from systemic or process problems rather than from individual negligence. It’s not the person; it’s the system. A just culture aims to improve the system to 1) prevent failure wherever possible or; 2) to ameliorate failures when they do occur. In a sense, it’s a culture designed to improve itself. According to Barbara Brunt, “A just culture recognizes that individual practitioners should not be held accountable for system failings over which they have no control.” Rather than hiding system failures, a just culture encourages employees to report them. Designers can then improve the systems and processes. As the system improves, the culture also improves. Employees realize that reporting failures leads to good outcomes, not bad ones. It’s a virtuous circle. The concept of a just culture is not unlike appreciative inquiry. Managers recognize that most processes work pretty well. They appreciate the successes. Failure is an exception – it’s a cause for action and design thinking as opposed to retribution. We continue to appreciate the employee as we redesign the process. The just culture concept has established a firm beachhead among hospitals in the United States. That makes sense because hospital mistakes can be especially tragic. But I wonder if the concept shouldn’t spread to a much wider swath of companies and agencies. I can certainly think of a number of software companies that could improve their quality by improving their culture. Ultimately, I suspect that every organization could benefit by adapting a simple principle of just culture: if you want to improve your outcomes, recruit your employees to help you. I’ve learned a bit about just culture because one of my former colleagues, Kim Ross, recently joined Outcome Engenuity, the leading consulting agency in the field of just culture. You can read more about them here. You can learn more about hospital use of just culture by clicking here, here, and here.